It only makes since that Steph Curry’s alma mater Davidson—a school most people had ever heard of before he came along—would eventually become an Under Armour sponsored college once the reigning MVP signed on with the brand. 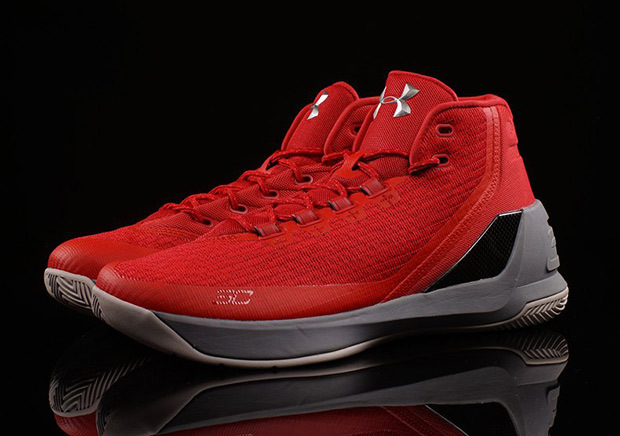 Just like Steph, Davidson left Nike behind for Under Armour, and now the partnership is definitely official with the release of a Curry 3 in the school’s colors. 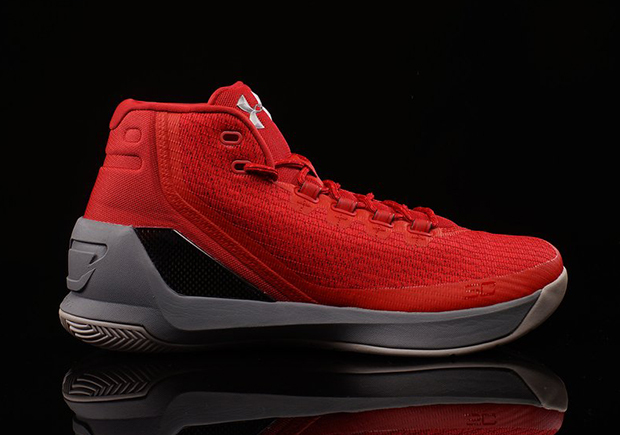 The “Davidson” Curry 3 features a bright red mesh upper with grey for the midsole, lighter grey for the outsole, and the carbon fiber support in black. Davidson faithful and those that might just happen to want a pair of red Curry 3’s can pick these up beginning this Saturday, December 10th at select UA retailers like Oneness or straight from UnderArmour.com.